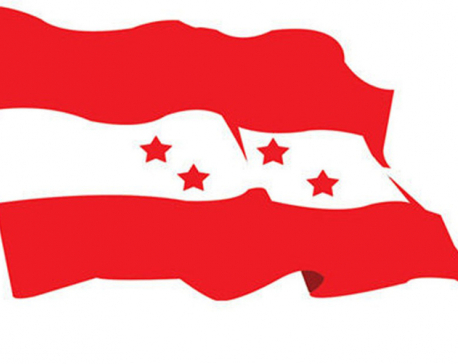 KATHMANDU, April 3: Home Minister Ram Bahadur Thapa has said that the new government will get tough with secessionist forces and those involved in religious conversion, as such elements were trying to push the country into conflict. He said that all forces attempting to create conflict in the country in the name of ethnicity, religion and geography should be overcome in order to protect national unity. 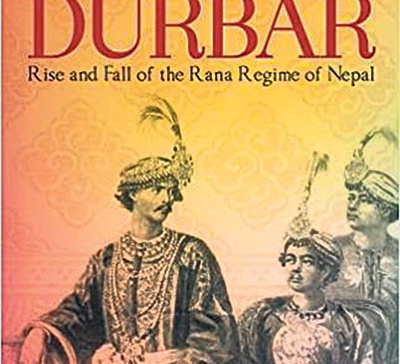 “Attempts are being made by elements like CK Raut to push the country into conflict in the name of an independent Madhesh, or through Christianity. 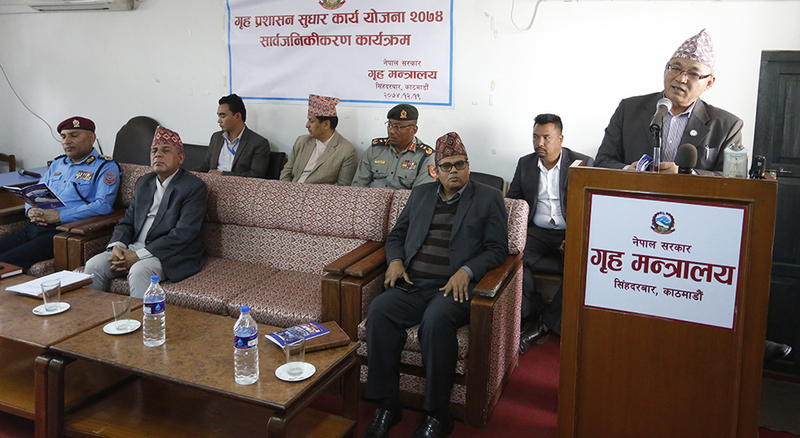 A new strategy should be devised to consolidate national unity,” he said while unveiling an 82-point work plan for the improvement of home affairs administration, at Singha Durbar on Monday. The work plan also states that the ministry will take the initiative to draft necessary laws and amend existing legal provisions if these steps are required to contain secessionist activities in the country. According to ministry sources, the ministry is mulling a monitoring mechanism to keep an eye on foreign nationals involved in illegal religious publicity and conversions, and also other crimes. The home minister likewise spoke about smuggling activities in the country. “All sorts of smuggling activities are taking place, from human trafficking to drugs smuggling,” he said. He accused bureaucrats and political leaders of giving protection to smugglers. Thapa said his ministry is working to end the syndicates in public transportation. He has emphasized national unity, crime control and effective service delivery. According to his work plan, the ministry will come up with directives for monitoring the border areas with the help of drones. “Likewise, a survey will be carried out to explore the possibility of setting up at least one police post in each of the local units,” the minister said. The work plan includes plans to distribute national identity cards and also to set up vehicle road-worthiness centers at every 100 kilometers on all the highways in order to ensure greater road safety. Referring to all the security personnel deployed for sundry activities other than security, he said personnel assigned to former VIPs are being recalled immediately.